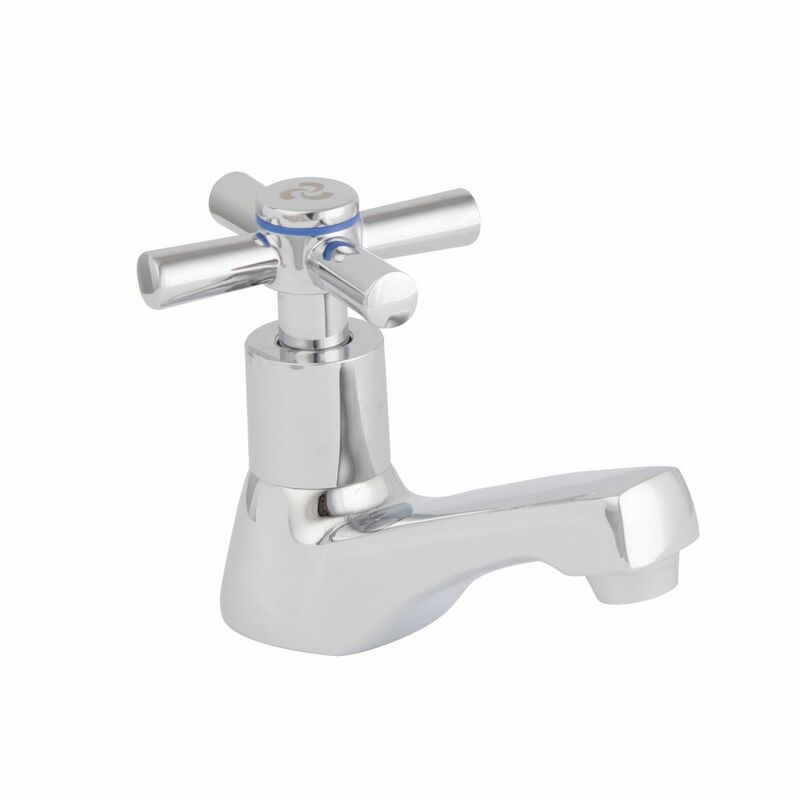 Ledimo square-type pillar tap, chrome, pre-packed. 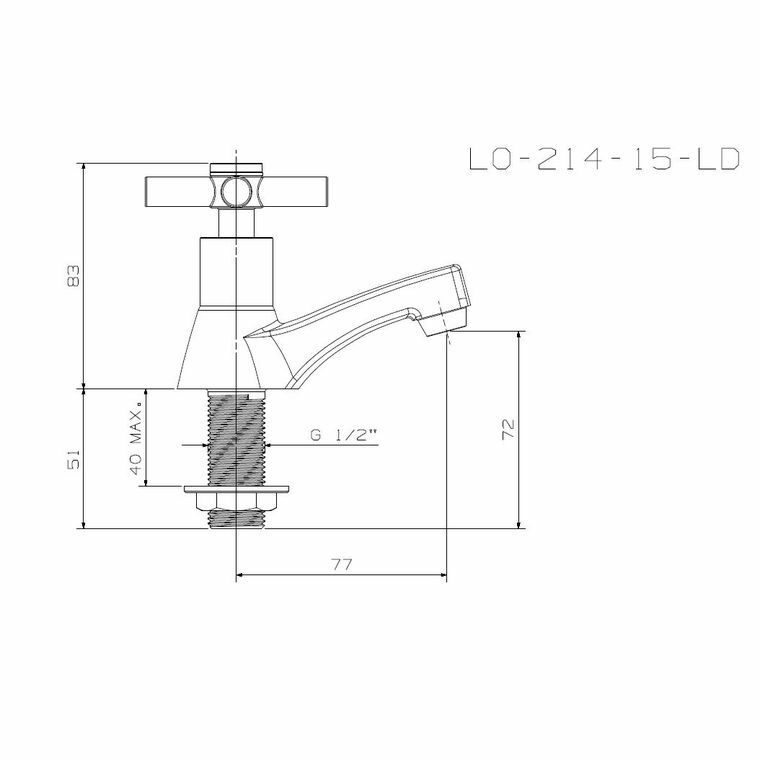 Includes: hot and cold indices, 1/2" BSP male inlet, flanged backnut, and streamline outlet for flow aesthetics. SANS 226 Type 2, DZR brass.